We modify the existing equipment that no longer meet today's standards, and it principally because the need for speeding up the process. For these modifications are offered high performance strapping units for PET as well as for steel strips intended width ranging from 12 to 32 mm. 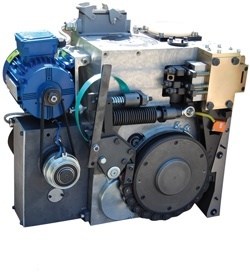 This kind of binding unit can be used for separate projects when the customer does not meet the standard type produced model.